You have added Cutting Out Leatherette Maxi Dress in Off White/Blush into shopping cart. This dramatic maxi dress has a bit of an edge to it we love. The Cutting Out Leatherette Maxi Dress is fully lined to the mid-thigh. The top part is made of a textured faux leather fabric. It has a V neckline, wide shoulder straps, and fabric cutouts on the sides and back. The attached skirt is made of a gauzy fabric and it has a full length maxi cut with a slit on each side. An exposed zipper in the back completes this dress. The Cutting Out Leatherette Maxi Dress is perfect for any party or get-together. Pair it with gladiator sandals, wedges, or heels for an unforgettable look. Details: Fully lined to the mid-thigh. Exposed back zipper. 100% rayon. Contrast: 60% PU, 40% polyester. Lining: 100% rayon. Hand wash cold. Do not bleach. Hang or line dry. Small measurements: Length from top of shoulder to hemline: 57". Bust: 32". 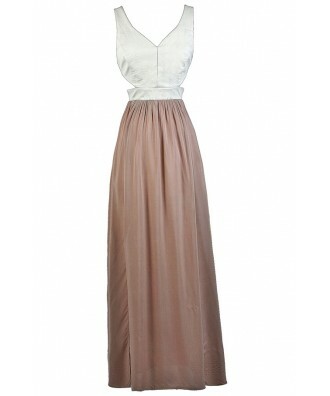 You have added Cutting Out Leatherette Maxi Dress in Off White/Blush into Wishlist. You have added Cutting Out Leatherette Maxi Dress in Off White/Blush for Stock Notification. 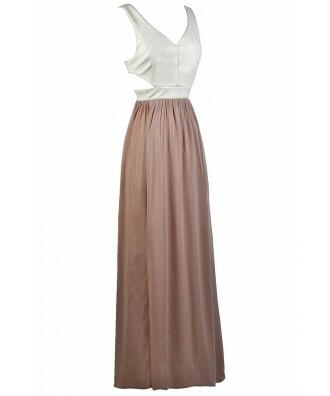 You have set Cutting Out Leatherette Maxi Dress in Off White/Blush as a loved product. 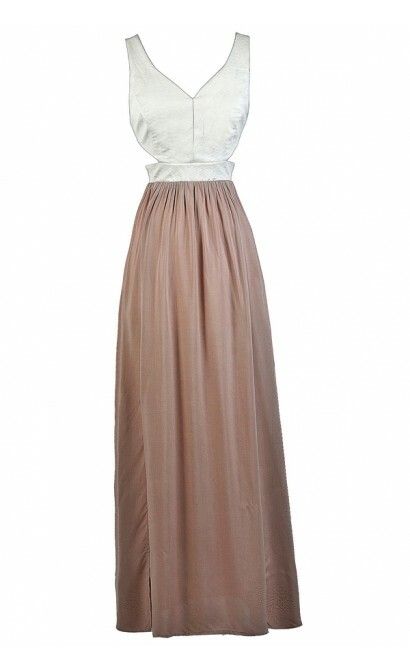 You have removed Cutting Out Leatherette Maxi Dress in Off White/Blush as a loved product.